!! Latest 2015 !! We only have only Black and Silver/Stainless Steel in stock. Other colors will be available soon. THIS IS GENUINE PRODUCT IN RETAIL BOX SOURCED DIRECTLY FROM ELEAF, NOT EVEN OEM PACK. ** BEWARE ** - Due to popularity of this device there is at least 3 months of back orders, hence there are lots of counterfiet products offered at half the price. iSmoka Eleaf iStick 30W Battery is truly beautiful - this is the battery only at an amazing price. Works fantastic with either a Aspire Nautilus Mini - or a full size Aspire Nautilus as well the sub ohm Kanger Atlantis Mini. All these tanks are in stock at Electronic Cigarette World, Australia ready for quick delivery. The Eleaf iStick 30W is an absolutely amazing setup capable of delivering the most amazing vaping experience. 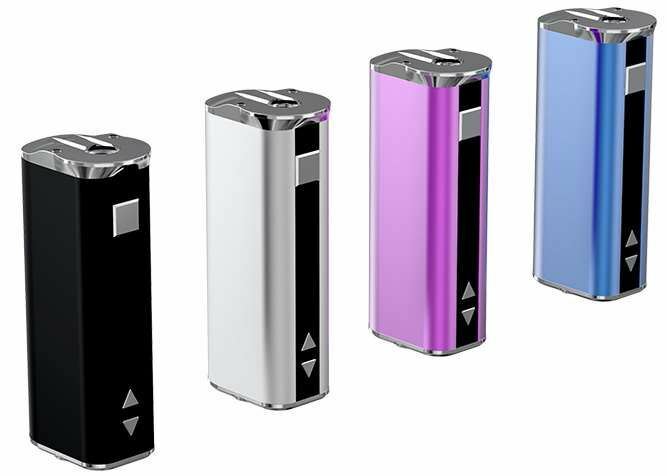 Finally iSmoka Eleaf has listened to the vaping community and launched the new iSmoka Eleaf iStick 30W battery delivers sub ohm vaping in a tiny package with a tiny price. The iSmoka Eleaf iStick 30W is capable of a maximum 30W Output, with a voltage range of 2-8V. It is capable of firing down to 0.4 Ohms, making it handy for the new breed of Sub Ohm Clearomizers like the Aspire Atlantis and Kanger Subtank Mini. The Eleaf iStick 30W is the new big brother to the Eleaf iStick 20W box mod battery that revolutionized the box mod vaping world and even vaping in general. The Eleaf iStick finally made it possible to vape with an elegant - small - yet very powerful box mod. Now with the new Eleaf iStick 30W, we can all enjoy the benefits of using the iStick with the added benefits of being sub ohm capable since it can power a 0.4 ohm or above coil. The Eleaf iStick 30W also improves the tank connection with a reinforced spring loaded center pin. The Eleaf iStick 30W also improves its look when paired with a 22mm (as well as a 23mm) tank thanks to its redesigned shape. The Eleaf iStick 30W still fits perfectly in the palm of your hand as shown in the pictures above. The Eleaf iStick 30W remains very convenient and portable, and is now even more able to satisfy the needs of all vapers due to its sub ohm capabilities. The Eleaf iStick 30W has multiple protections such as atomizer short circuit protection, over 10 second protection and low voltage protection. When holding the button up or down - it will increment automatically by 0.1 - if you press the button again it will increment by 0.2 and one more time to increment automatically by 0.5. How smart is that? How to charge - iStick can be charged through USB port at the bottom of battery. It will take 1.5 hours to charge the battery with 1A wall adaptor. Top LED Digital Display: Display parameter (vaping seconds, battery power, current voltage) in a circular digital screen. Adjustable Voltage: Press the up-and-down arrow buttons to increase/decrease the working voltage between 2.0V to 8.0V.